In this superfood list, you will find the best foods, that will help to improve your health. Today, the superfoods are very popular, we hear about them at every step, and those who have tried them can not afford to admit it. Yes, that’s right – superfoods or green foods. But what is it and what is good? Do you know what superfoods are suitable for you and which one is worth trying? Whether you try the superfoods as a separate part of the diet or you mix them into oatmeal, yogurt, cocktail or snacks, these are valuable food supplements that help replace the absence of healthy products on our market (no, tomatoes or peppers from the supermarket really do not fill our vitamins) and after which we will feel better. So if you do not have the opportunity to grow your own fruits and vegetables, which can be said to be full of vitamins and minerals, take a few minutes of a brief introduction of healthy food supplements belonging to a set of superfoods. The first position in our superfood list has to be Young Barley. The consumption of young shoots of green barley can be traced back to the 5000 years before our date as the first ever grown sweet grass in the world. Due to nutrient content, it is also referred to as the best natural fast food. There are many reasons why our diet should include a juice of young barley juice. It is rich in vitamins A, B1, B2, B3, B6, C, E and K. Together with the basic minerals (zinc, iron, calcium) also contains a large amount of magnesium, phosphorus, and potassium, rich in antioxidants and essential amino acids supplies the body with valuable fiber that keeps cholesterol levels at an acceptable level. Young barley is also a source of natural detoxification, strengthening our immunity and fighting infections. Due to the content of chlorophyll, vitamin B, iron and phycocyanin, the juice of young barley juice promotes the growth of bone marrow and white and red blood cells. More about young barley can be read, for example, in the article Young Barley – Drink not only for gladiators. The benefits of beetroot are notorious. This typically red vegetable helps keep our blood clean by having beneficial effects on our liver and kidneys, our two filter systems. Beetroot contains betaine, which is important in preventing chronic diseases as well as protecting our internal organs. Blood that passes through our liver supplies our whole body with important substances and should, therefore, be our goal of keeping the liver in good shape. 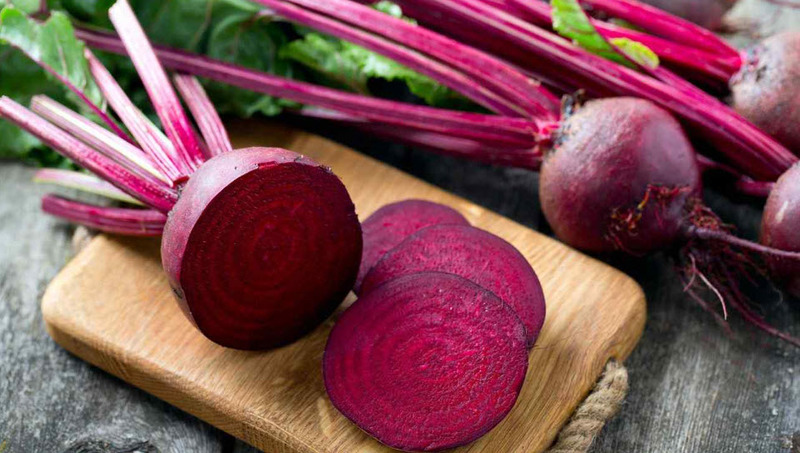 More about red beet can be found in our article Red Beet – Red Beet Praise. The popular way to get red beet juice is juicing that we can apply to other vegetables and fruits. So we get a beverage that contains key nutrients for our body. In addition, we can add carrot juice and a little ginger and get a very delicious drink. If you are not a fan of juicing, just cut red beets into a salad or add them to a soup. Beetroot is also available in powder form as dried beet juice. So, if you are looking for a simple and quick way to put red beet into the menu, just add one teaspoon of this powder to your drink, cocktail, mash or pancake. Chia seeds are the latest fashion break in healthy cooking and eating. The old Aztecs and the Mayans praised them for their ability to provide long-term energy, and the chia seed became a Mayan expression for strength. And why are chia seeds so valued? Above all, this is because of the high antioxidant content that in our body is fighting against the effects of free radicals that otherwise can seriously damage healthy cells and cause their excessive aging and serious illnesses such as cancer. Chia seeds contain a very good portion of proteins and essential amino acids, from which our body can draw energy. They are also highly prized as a natural source of iron, zinc, calcium, magnesium, fiber and can absorb large amounts of water, increasing their volume 7-12 times. They create a gentle and easily digestible gel that prevents fast digestion of food by gastric enzymes. This hydrates the body and relaxes the feeling of hunger. Yes, it sounds more like a disease than a healthy food. But do you know why you could incorporate chlorella into your diet? Chlorella is a rich natural source of vitamins A, B1, B6, B12, C and E and, unlike artificially produced vitamins from a pharmacy, the absorption of these vitamins from natural sources in our body is several times higher (better). Like all dark green vegetables, Chlorella is a source of magnesium that helps maintain the right blood sugar, healthy heart, moderate irritability, and nervousness, and is important for the proper functioning of the muscles and nerves. Chlorella also contains other important minerals such as potassium, iron, and calcium. Chlorella is valued for its ability to detoxify and modify digestion. 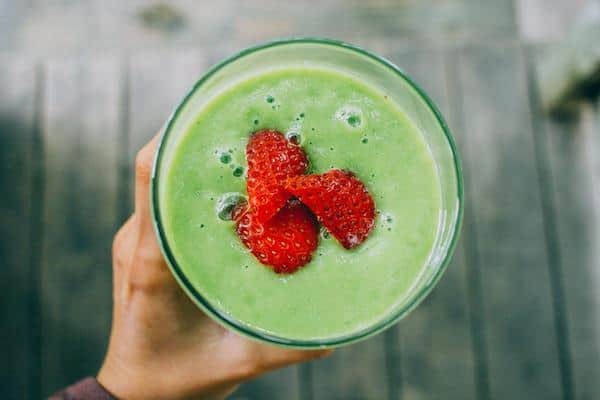 In today’s world, we consume large quantities of toxins that come from food, air, water, or cosmetics, and so it is necessary to detoxify our body from time to time to keep it healthy and well-functioning for a long time. Chlorella is able to bind toxins and heavy metals and take them away from the body. It also supports the correct microflora in the intestines and cleanses intestinal walls using soluble fiber. This improves food digestibility and absorption of vitamins and minerals through the intestinal wall. It’s such a great food to keep our overall health condition. More in Chlorella’s article – is Chlorella really such a magician? Spirulina is a blue-green cyanobacterium, which contains an incredible amount of protein, is a great source of antioxidants, vitamin B, essential amino acids, and is also recommended for vegetarians for their iron content. We also find 20 times more calcium in it than in milk. Spirulina is therefore ideal not only for children and pregnant women but also for the elderly. Spirulina also aids in weight loss, when it exudes hunger and improves fat burning during physical activity. Its benefits are also mentioned in diseases such as hay fever or diabetes, and it also helps eliminate stress, fatigue, anxiety, and depression. It strengthens the immune system (improves the absorption of food by intestinal walls by clearing it) and cognitive functions (memory, attention, speech, understanding, thinking, concentration) that have a significant impact on our psyche and the perception of the surrounding world. 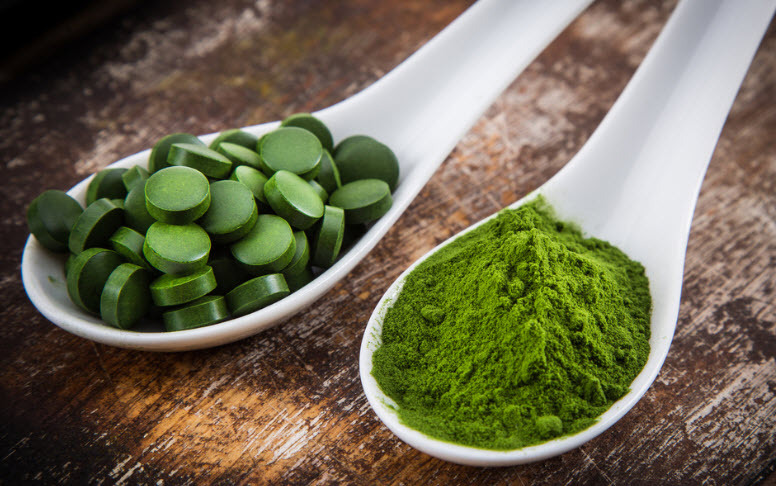 If you want to know whether chlorella or spirulina is more effective, read the article What is more effective? Chlorella or Spirulina? Berry acai is a slim palm growing mainly in the floodplains of the Brazilian Amazon. It grows small fruits first green and matured in a dark purple color that smells and tastes like chocolate with berries. Their shape and size are similar to blueberries, but unfortunately, they are not so easy for us. It is very difficult to get fresh acai berries, because not only are they demanding their collection, but they are very quickly spoiled. Therefore, today is preferred dry form, when it is possible to buy dried fruits of acai berry as a food supplement. The taste of acai can be likened to the taste of blackberries with the bitterness of dark chocolate. Acai berries are a very important antioxidant. They are rich in protein, fiber, vitamin A and C, calcium, potassium, and iron. By protecting the body from the adverse effects of free radicals, they help prevent various civilization diseases (diabetes, heart disease) and aging. Omega-3 and omega-6 essential amino acids also help prevent high blood pressure and cholesterol levels. It is right to be among the super superfoods. Everyone now knows that blueberries, blackberries, black currants, acai or raspberries are good for our health. 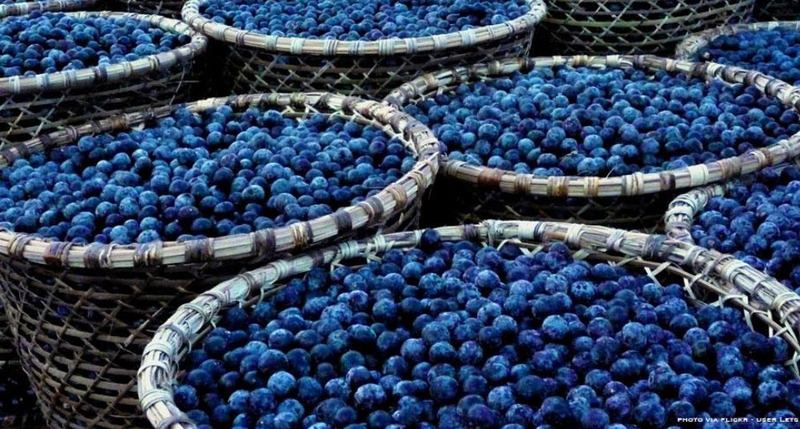 But few know the superfood which is considered the strongest antioxidant and which is just maqui berry. Indians in the Andes drank the fruit of the tropical palm maqui for thousands of years, and these plants are attributed to the longevity of these indigenous peoples. Maqui fruits are rich in anthocyanins (which are flavonoids), which have very high antioxidant activity, have a strong anti-inflammatory effect and therefore contribute to reducing the risk of degenerative diseases, inflammation and cancer cells in the large intestine. Antioxidants in maqui fruit also help prevent cholesterol oxidation in the blood, an undesirable factor in circulatory system disease, heart attack, stroke, and arteriosclerosis. Maqui is also beneficial for maintaining the right weight, since it lowers blood sugar after eating, helping to prevent new fat cells from forming. These ancient berries can be found on evergreen shrubs growing in subtropical regions of China, Mongolia or the Himalayas. Thanks to its sweet taste and a number of health benefits, the fruits of Chinese pasta are brought to the attention of people around the world. In our conditions, it is possible to buy them in a dried state. Goji berries give us, like many other berries, a healthy dose of beta-carotene that maintains healthy skin. They are also popular with diets because they contain vitamin C and fiber but also have a low-calorie content. They are also a natural source of iron and vitamin A (an antioxidant whose deficiency leads to eye diseases and degeneration of the cells that hunt). 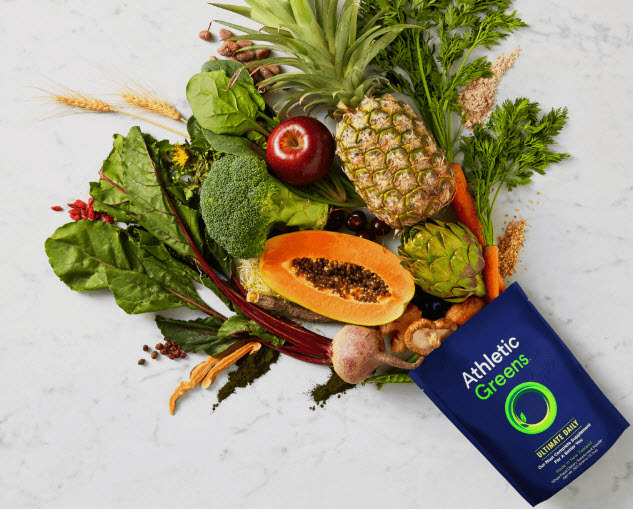 Did you know that Athletic Greens consist of 75 superfood ingredients? 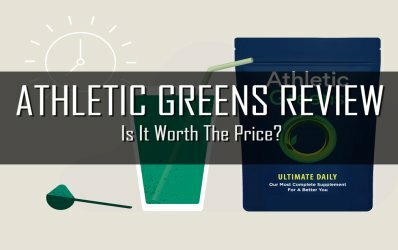 Read my complex review of Athletic Greens. Have you already happened to have taken over to the TV after lunch and did not even want to get up and go to make something meaningful with the feeling of zero energy? Then it is high time to look for some form of Green Tea Match. All forms of green tea contain the amino acid called L-Theanine, which is found exclusively in teas, but its content is highest in the match of Green Japanese Tea. Along with the content of theophylline (similar to caffeine), Matcha Green Tea stimulates our body, increases alertness and improves concentration. It is also the oldest Japanese tea, which is also used in Buddhist ceremonies. Leaves are not eliminated after leaching but can be found with water and our body can draw on a large number of nutrients, antioxidants, vitamins, minerals, and fiber. This is a brand new superfood that comes from India where it was used not only as a source of energy but also as a medicinal plant. It is now becoming more popular in tropical and subtropical areas, where positive news spread across the globe. Because it has several important properties for our body, moringa is also called a “miraculous tree”. It contains 25 times more iron than spinach, 7x more vitamin C than the orange, more vitamin A than carrot, more vitamin B than we find in peanuts, more calcium than milk and more potassium than we get from bananas. Thanks to the protein it is also an ideal food for people who for any reason reject the consumption of animal food. Those who have tried the morgue are praising her for her help with headaches, skin diseases, tumors, diabetes or even malaria. It contains a total of 46 different antioxidants and 90 nutrients and its contribution to the human body has been proven by scientific research. Moring can be purchased in the form of a powder made from dried leaves. The powder can be added to green juices or smoothies, giving them a spinach-like flavor. Like chia seeds, flax seed is proof that the best stuff comes in small packages. The old Babylonians and Egyptians used the flaxseed meal in the diet and medicine and even gave it a royal seal and adopted laws enforcing the regular consumption of linseed. The Flaxseed contains more polyphenols than eg blueberries or more Omega-3 fatty acids than salmon. Significantly contributes to reducing the level of harmful cholesterol in the body, helping to protect our blood vessels and maintain a healthy digestive tract. Together with a significant amount of antioxidants and fiber, it has many benefits for our body. The lack of antioxidants in the body also results in inflammatory processes and oxidative stress, resulting in serious illnesses. The flaxseed thus helps to prevent these conditions. Perhaps you have just learned about Acai Berry and there are other fruits from the same area as Camu Camu. 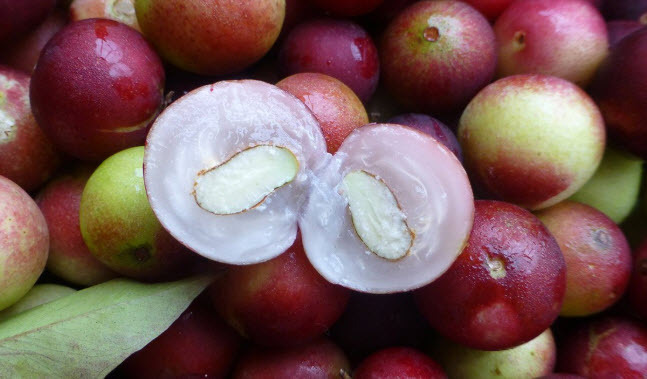 Like Acai, Camu Camu grows in the areas of the Amazon Rainforest in Peru, Brazil, Colombia, and Venezuela, where both the leaves and the fruits of this plant have been used for healing purposes for centuries. Camu resembles plum, lemon-size, light orange, and berries are a significant source of essential amino acids and vitamin C.
Camu helps maintain healthy eyes and gums, has anti-viral effects, successfully fights with hives, stripes, and colds is a fantastic source of potassium that we need for the proper functioning of our heart and kidneys. It is also a source of gallic acid that has anti-viral and antioxidant properties and ellagic acid, which has anti-tumor and antioxidant properties and also has a chemoprotective effect (it reduces the oxidative stress of the cells in the body). 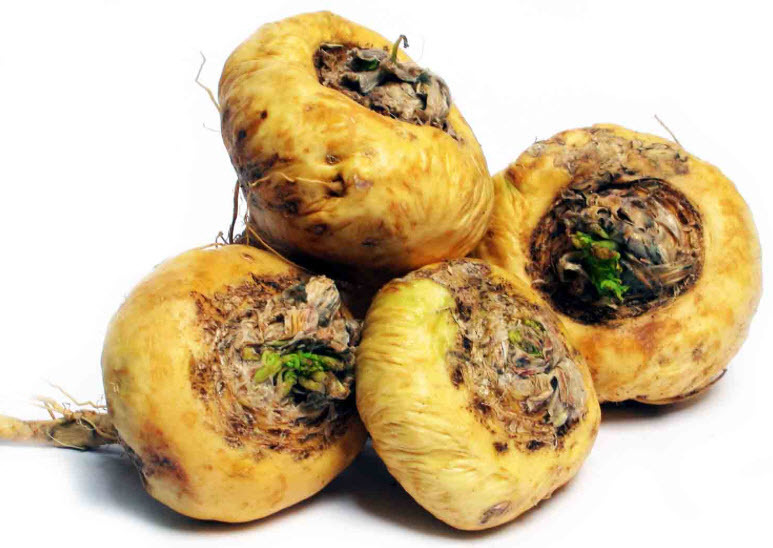 Maca is a root that is related to radish and is commonly consumed in powder form. It is rich in vitamin B, C, and E is a natural source of calcium, zinc, iron, magnesium, phosphorus and amino acids. As a source of iron, it helps us to create red blood cells and to fight anemia and heart disease. Maca also maintains healthy bones and teeth, contributing to the faster healing of external wounds and skin problems such as acne or scars. It also has the ability to reduce the sensitivity of the skin to temperature changes and contributes to the formation of muscle mass (when exercised appropriately). Both men and women increase sexual appetite and endurance. The best way to add Maca into the diet is to add the powder to juice or breakfast mash. You will draw on all the benefits of this superfood, the taste of which you almost do not notice. Even if you do not expect it, just like red beets, lemon has its place on this list. Lemon is one of the healthiest foods on our planet. This citrus fruit is full of vitamin C but also has a high potassium content that helps maintain a healthy heart, brain, and nervous system. Because of its acidity, people are not aware that lemon helps relieve signs of digestive disturbances and heartburn as well as flatulence. If you eat something with a distinct taste that you can not get rid of, lemon water is an ideal drink to refresh your breath. Lemon also balances the pH in the body and helps with detoxification. This is why it is highly recommended to drink lemon juice shortly after awakening, which helps the body not only detoxify but also prevent some types of cancerous growth. The easiest way to consume is to soak the water at room temperature, add lemon juice and sip all morning. For example, you can add Steve. 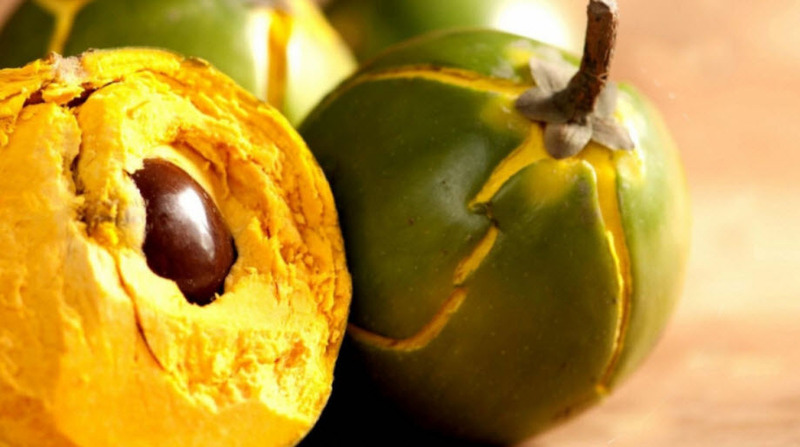 Lucuma is a fruit originating in Peru and is called the gold of the Incas. It looks like a mango but tastes like sweet potatoes. It is valued for high nutrient content and is considered a fertility symbol. It contains a lot of carotenes, an antioxidant that slows down cell aging. Helps maintain healthy eyes and has a high content of iron, fiber, niacin (vitamin B3, whose deficiency is manifested by insomnia and anorexia) and tastes very well. Thanks to the sweet taste, Lucuma can be added as a powder to juices, yogurt, desserts, but also to tea or coffee. Baobab is a fruit tree known to African residents who have been using it for centuries to treat fever, malaria and digestive problems due to vitamin C deficiency. However, in many countries around the world, these citrus-flavored fruits have until recently been quite unknown. 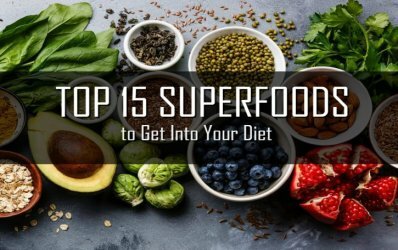 The last position in our list of superfoods doesn’t mean it is the last from the point of nutrition. Baobab is also one of the superfoods, containing 10x more vitamin C than the oranges, that are knowns as a big source of vitamin C. In addition, vitamin C is a significant antioxidant (it helps fight free radicals) also plays a significant part in collagen production and elastin, which are important proteins that supply our skin and keep it supple, healthy and wrinkled. Vitamin C also helps with fat burning during exercise, stimulates white blood cell production, development of teeth, bone, and cartilage and promotes growth. So, if you decide to add baobab to your diet, you will get a rich source of calcium, copper, iron, magnesium, potassium, and zinc in addition to a great deal of vitamin C.